Before we can define what treasury bonds are or how we can invest in treasury bonds in the Philippines, let’s first make mention of a broader category in which treasury bonds belong. And that is government securities. When the government borrows money, it does so by selling a piece of paper with a stated promise of pay back with corresponding interests at a future time. This piece of paper is formally called “government securities”. There are two different types of government securities segregated by the length of time the payment will be due. When this length of time (also called tenors) has lapsed, the security is said to have matured. Securities with maturity of less than one year are named treasury bills. There are three tenors for treasury bills. They can either be 91-day, 182-day or 364-day bills. Government securities that go over a year in maturity are called treasury bonds. Tenors for treasury bonds in the Philippines come in five different types. They can be 2-year, 5-year, 7-year, 10-year or 20-year treasury bonds. When an individual decides to buy a treasury bond, he can expect to be paid a stated percentage of the amount he bought every quarter until the bond matures. This percentage is called the interest rate. Normally, interest rates are quoted in an annual basis and the earnings from interest payments are subject to withholding tax of 20%. This would mean that a treasury bond with 10% interest rate, for example, will actually just yield 8% to the owner after tax deductions. And since interests earned are paid every quarter, the income from the stated interest rate is not compounded. After maturity, the principal would have been fully paid together with all the interest payments agreed on. Some would look at treasury bonds and decide that it’s not worth your time and money. Considering an economy with 5% annual inflation, the 10% rate for a treasury bond will just earn 3% in a year’s time after taking out taxes and considering the lowering of buying power. But it is still way better than just letting your money sit in a bank with no more than 1% annual interest. On top of that, these securities are the safest of all because unless the government defaults the owner is guaranteed his principal with interest at the designated time. And since the interests are paid quarterly, the first three quarter payments are actually worth more if you consider the effects of inflation. Banks are usually the intermediaries when you want to invest in treasury bonds. 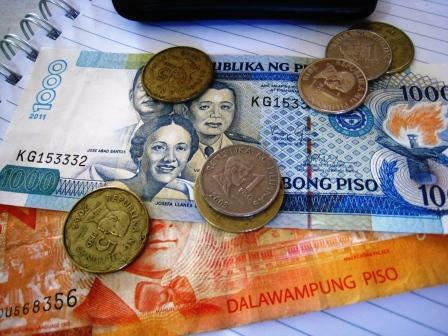 Some of them allow individuals to invest as low as 5000 pesos as a minimum. There is a secondary market where you can sell your treasury bonds before maturity if you really need the money. It doesn’t beat the liquidity of savings but it’s a small price for better earnings with treasury bonds in the Philippines.